Oxford United have signed Middlesbrough's teenage keeper Connor Ripley on an emergency loan. First-choice Oxford keeper Ryan Clarke was already out of action with a side injury and reserve Wayne Brown injured his knee in training on Friday. 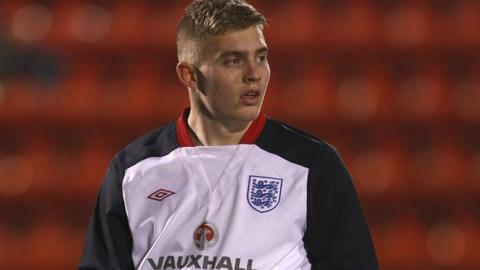 Ripley, 19, is the son of ex-Blackburn Rovers and England winger Stuart. Having started his career at Blackburn, he moved to Boro in 2010, since when he has made just two Championship appearances for the club. The England Under-19 international goes straight into the squad for Saturday's match against Southend United.